Star power makes a difference, whether it’s a TV show or a TV press tour. Take George Clooney, who was live and in person in Pasadena Monday before members of the Television Critics Association. 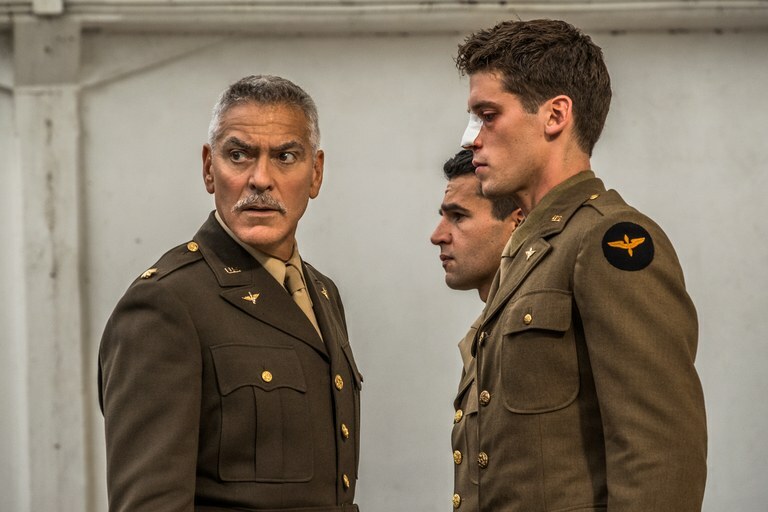 Clooney acts, directs and is an executive producer on “Catch 22,” a new adaptation of Joseph Heller’s seminal novel. 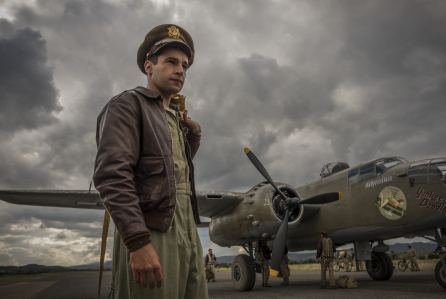 The WWII drama stars Christopher Abbott as a young recruit railing against the insanity of war. Kyle Chandler and Grant Heslov also star, with Hugh Laurie among the supporting headliners. Clooney plays a barking-mad field officer. His presence at TCA raised the star bar, drawing more international reporters into a suddenly crowded banquet room. The 57 year old actor walked out impeccably dressed in a grey suit and a black silk shirt, a combo which, of course, worked perfectly with his grey hair, tan and close-cropped beard. Chandler joked after the session that he fetched coffee for George on the set, and always from Nespresso coffee machines. 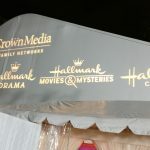 The eight-part series, premiering on Hulu in May (and coming to Citytv’s new streaming app in Canada), looks like a big budget war movie — at least based on the first episode I screened on the closed circuit feed in the hotel. There are scenes where platoons of bombers soar through the clouds and they’re the real deal, not CGI effects. The producers located two working, British, Vickers Wellington bombers in California. They had to be flown all the way to Sardinia, where the series was shot, over a seven-stop journey that included gassing up in Greenland. Clooney says that, as one of the directors on the series, he “stole a couple of things” from original movie helmsman Mike Nichols. He also felt the series format was the perfect way to expand on the central characters. He was asked if he remembered being before us 25 years ago when ER was first panelled at TCA. “All of you were here, you look exactly the same,” he joked, although a few of us actually were. 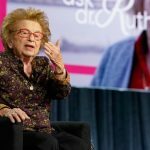 “ER was a nutty moment in our career, it thrust us in the stratosphere and it was life changing for all of us.” The actor had also popped into a TCA press tour in 2000 to promote a live version of another mid century classic, “Fail Safe,” during a CBS panel. Abbott, who held his own on this power panel, suggested you can, and Clooney the director, did.